Although I don't consider myself a geek person, as a photographer I need to have equipment to do the photography work you can see in the different projects I have done so far. So just for you to know me a little bit better, I have decided to write a post on the gear I use to shoot my street photographs. 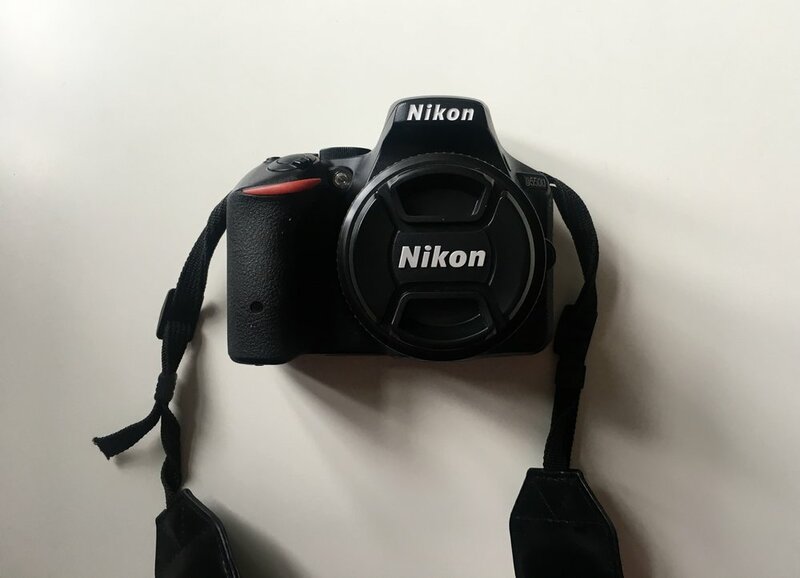 That above is my beloved Nikon D5500, a digital APS-C sensor released in 2015. It is not a full frame camera, just middle range, however I cherish its features and its light-weighted body, which allows me to carry it casually in one hand while walking around the streets, looking for the next shot, and lift it quickly to frame the image. It is very fast and reliable, its battery can last for three days shooting and its tactile screen makes my life way easier when changing certain settings or looking through the menu. The screen is also mobile, so it can rotate to use Live View when looking through the viewfinder gets tricky. Even though it's not a video-camera, its recording features in Full HD are impressive for someone new to video like me, so I can start learning with it. I don't like to position myself in the eternal discussion between Canon or Nikon, I just based my decision when buying this model by checking the functionalities and I couldn't be happier with the result. I am not quite a big gear spender as I truly believe any device is good enough if learnt how to use it and have an intention behind the subjects shot in the final image. As you can read in my post New Year, new goals, I built a pinhole camera out of cardboard, no fancy electronics, and anyone can build one and photograph with it without spending a fortune on equipment. That's why I only have three lenses, one being the kit lens which came with the camera body, a 18-55 mm f3.5-5.6. I also have worked with the telephoto lens 55-300 mm f4.5-5.6 for far shoots and more recently I purchased my 50 mm f1.8, which I fell in love with instantly. Lastly, I bought a second-hand analogue camera, the Nikon FE, released at the end of 1970s. I am still working with it so there are no projects in the gallery to see the result, but I hope to have at least one ready as soon as possible this year. I started using film cameras when I was a kid, so now it was the time to go back at it and experiment with film, not only with the Nikon FE, but also with the pinhole and disposable cameras.